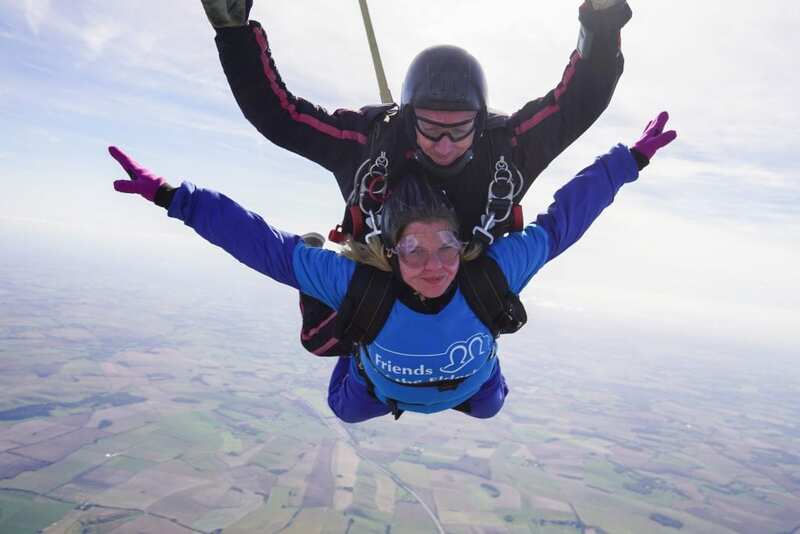 Elaine Lee, from Malvern, has raised over £800 for Friends of the Elderly’s Malvern care homes by bravely jumping 10,000ft out of a plane. Elaine is a manager at the Friends of the Elderly Malvern care home. She has been working in care for 20 years and celebrated her third year with Friends of the Elderly in September. Commenting on her skydive, Elaine said: “At first I was really nervous. I could barely speak in the plane and struggled to keep my breath steady. But as soon as we jumped from the plane any nervousness melted away. It was an amazing experience and I would definitely do it again. If you would like to support Elaine, visit her fundraising page here.